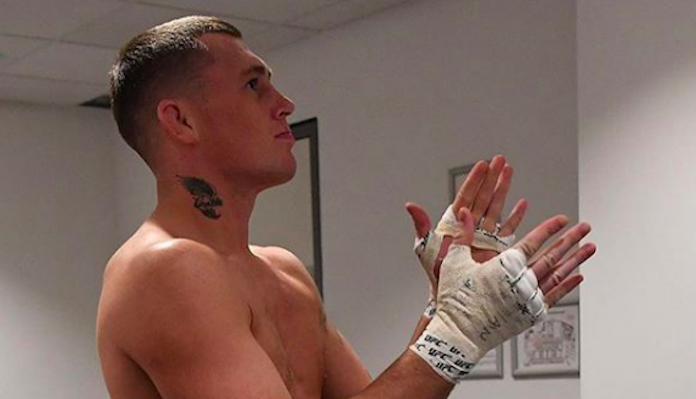 Saturday’s UFC London main event did not play out the way Darren Till envisioned. Returning to action for the first time since his unsuccessful title challenge at UFC 228 this past September, Till squared off with fellow welterweight contender Jorge Masvidal. In the opening round, Till found success on the feet, landing consistently on the American Top Team product. However, Masvidal would flip the switch in Round 2. Three minutes into the second round, Masvidal floored Till with a brutal combination. The series of punches left the Brit toppling to the mat, unconscious before he event hit the ground. I’ll be back a different animal, @teamkaobonis still the best coach & person in this world & we will dominate for years to come. @gymshark F LIFe” – Darren Till on Instagram.